Alan Browne puts Preston in front but Marcus Tavernier levels for Middlesbrough at Deepdale. 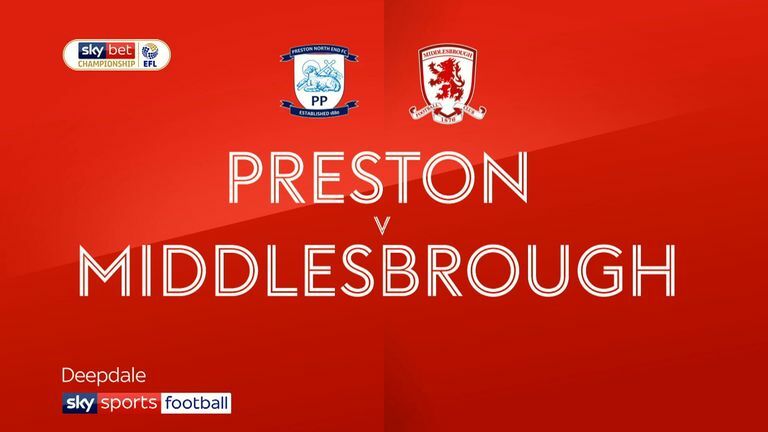 Highlights of the Sky Bet Championship clash between Preston and Middlesbrough. Marcus Tavernier's second-half strike extended Middlesbrough's unbeaten run to eight matches, but a 1-1 draw at Preston saw Tony Pulis' side drop out of the automatic promotion positions in the Sky Bet Championship. Tavernier levelled in the first minute of the second half after Alan Browne had fired Preston into a first-half lead they fully warranted. The hosts should have been ahead before Browne scored two minutes before the break, and were left to rue their failure to ram home their advantage as Middlesbrough hit back after the interval. Preston's pre-match preparations were dealt a significant blow when it was confirmed that their talismanic striker, Callum Robinson, will miss the next three months with a hamstring injury. 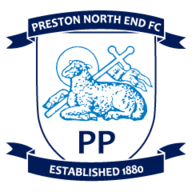 Robinson has scored twice as many goals as any other player in the Preston squad this season, but Alex Neil's side did not lack attacking intent in his absence. They threatened as early as the second minute, but while Louis Moult's through-ball released Brandon Barker into the area, the midfielder delayed long enough to allow Lewis Wing to block his attempted shot with an excellent covering tackle. Middlesbrough's switch to a five-man defence seemed to unsettle them, and Preston came within inches of claiming the lead on the quarter-hour mark. Jordan Storey teed up Tom Barkhuizen in the area, and his prodded shot clipped the post before Aden Flint hacked clear off the goalline. Moult fired a shot straight at Darren Randolph as the hosts continued to dominate, but Boro improved slightly after they were forced to change formation when Rudy Gestede suffered a recurrence of the ankle problem that has plagued his time on Teesside. 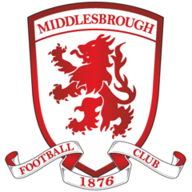 Daniel Ayala prodded a shot goalwards from George Saville's corner, only for Barkhuizen to clear from his position on the post, and Middlesbrough's brief revival was halted when Preston claimed the lead two minutes before the break. A slick passing move culminated in Barker teeing up Browne on the edge of the area, and the midfielder drilled a precise low finish into the bottom left-hand corner. Boro could hardly complain about being behind at the break, but the visitors needed just 55 seconds of the second half to fashion an equaliser. Storey allowed Dael Fry's long ball to drop over his head, and Tavernier was on to the loose ball in a flash. Cutting infield from the right, the teenager drilled home his second goal in the space of four days. Tavernier came within inches of scoring a second midway through the second half, glancing Martin Braithwaite's cross narrowly wide of the post, and with Saville also going close with a second-half header, Preston found themselves on the back foot in the closing stages. Alex Neil: "We should have won the game. We had the chance that hit the post and is cleared off the line. Alan's goal is a great goal. Brandon (Barker) has a chance early on when he's clean through, Jordan Storey has a chance as well. "We had more than enough of the game against a team second in the division. We were the better side, we showed more quality and posed them a lot of problems." Tony Pulis: "As the manager, you have to take the responsibility. The shape we started with, we didn't look comfortable with it. "Whether that was the players in certain positions doing certain things for you or not, I don't know. But once we changed it, I thought we got much more into the game and were much more productive."